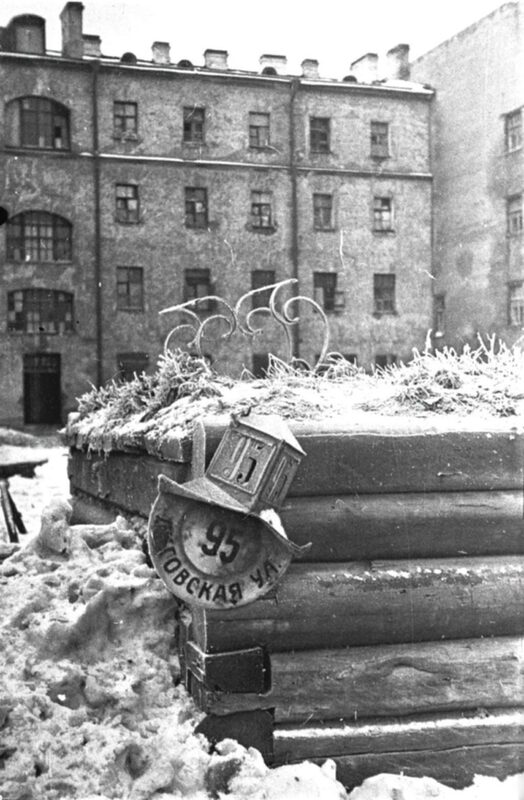 The sign “Ligovskaya Street, 95” in the Leningrad court. Ligovskaya Street – now Ligovsky Prospekt of St. Petersburg. The exact time of shooting is not known – one of the blockaded winters.